Gifting jewellery can be a tricky affair. 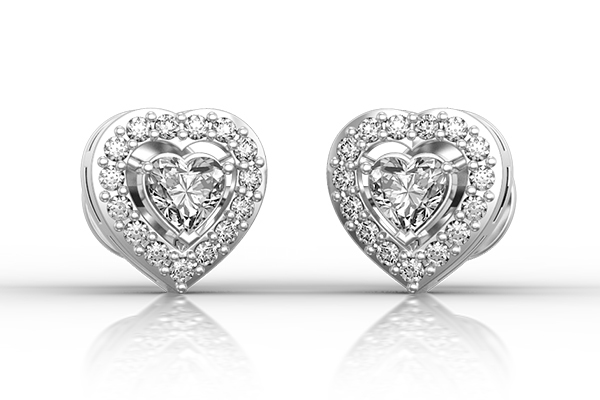 We think the best kind of jewellery are not necessarily the most expensive pieces, but those that are carefully chosen while keeping the receiver in mind. 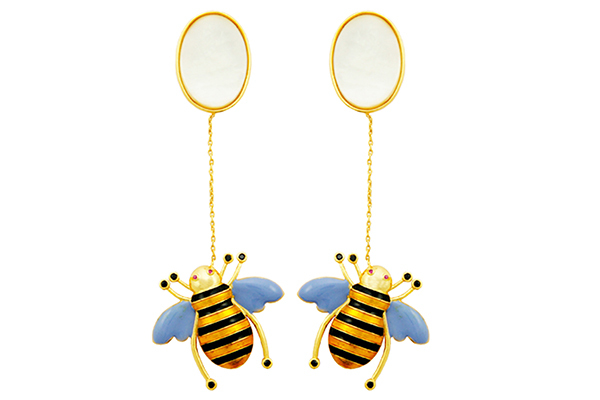 So, before you over think, we picked out earrings, dainty neck pieces, quirky rings and contemporary pieces so you don’t rule out the idea of a classic V-Day gift. Scroll over the gallery to read more about these pieces. 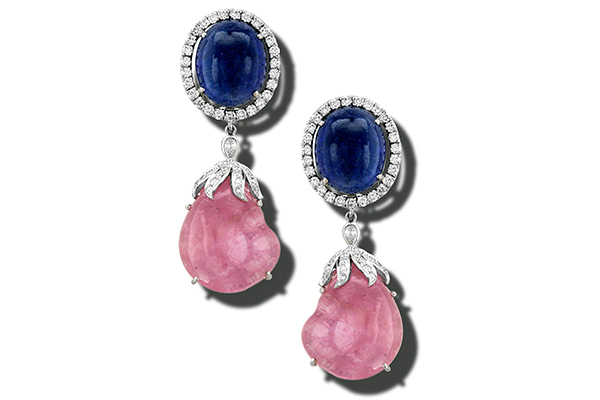 Tanzanite cabochons nestled in brilliant-cut diamonds with baroque pink tourmaline droplets, set in white gold from The House of Rose. 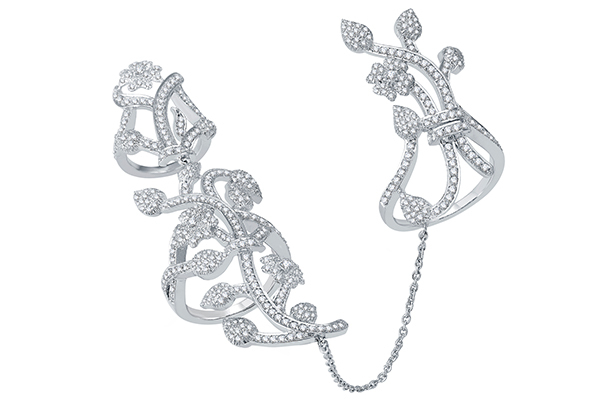 Zoya Espana earrings with white and champagne diamonds set in rhodium. 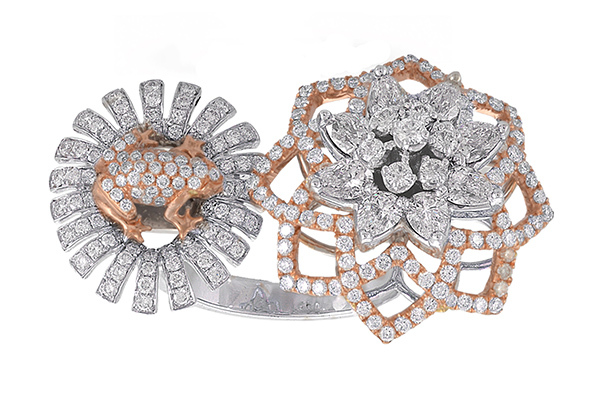 Floral rose gold, diamond-studded ring, with a rose gold tadpole from Ghanasingh Be True. 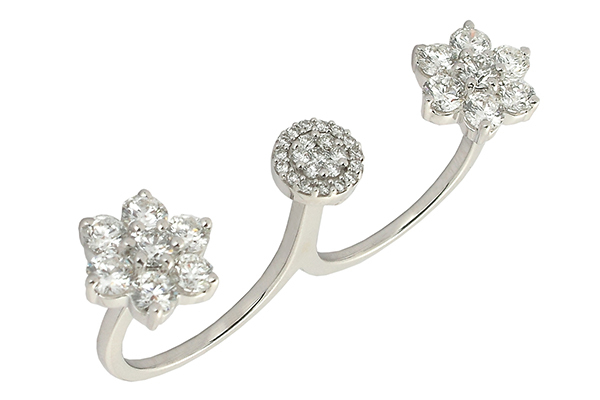 Double finger ring from Anmol Jewellers, encrusted in diamonds. 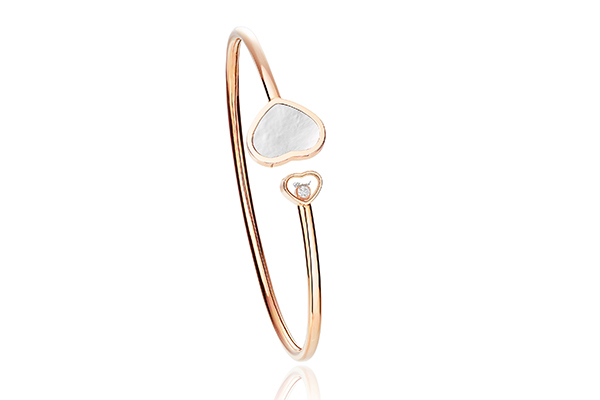 Chopard's mother of pearl bracelet in rose gold. 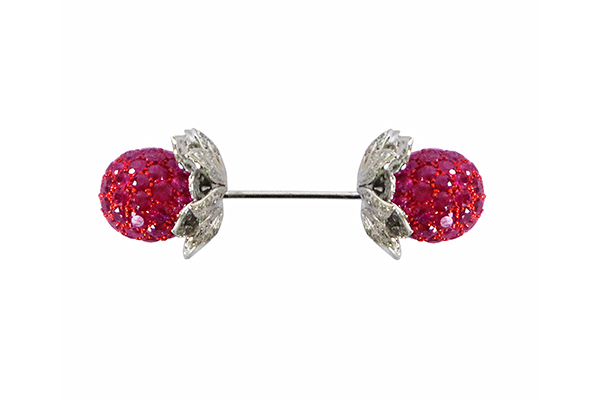 Mozambican ruby and diamond bow-tie from Bina Goenka's collaboration with Gemfields. 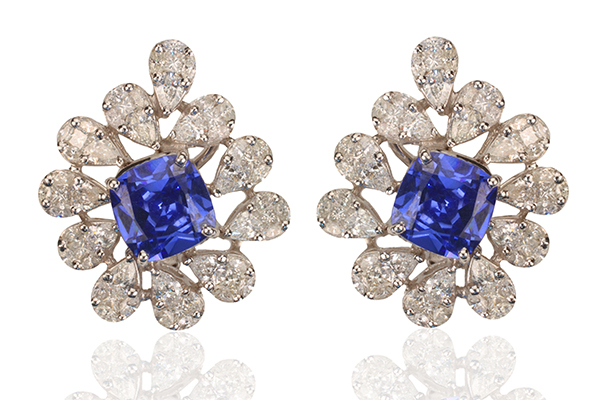 Diagold diamond and blue sapphire earrings. 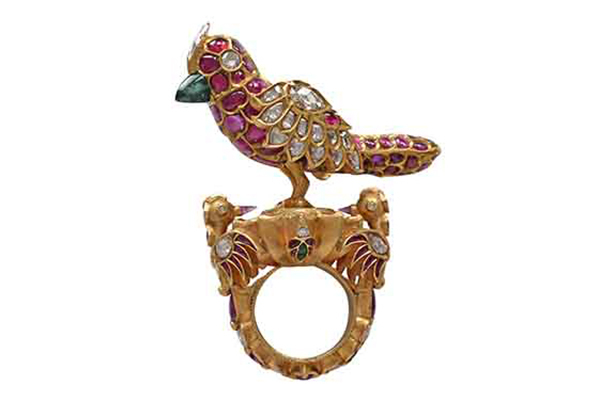 Ring from Amrapali Jewels embellished with rubies, diamonds and emeralds. 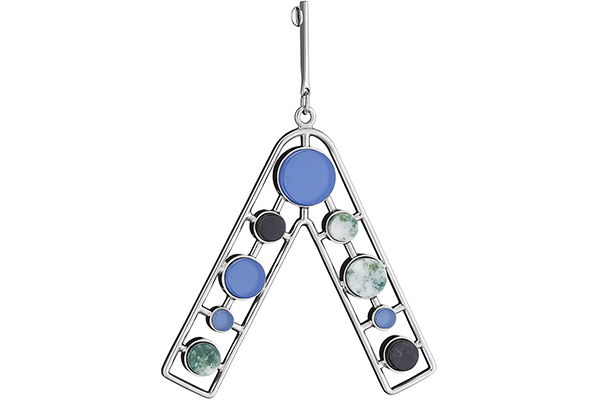 Dior Bijoux earrings adorned with blue glass, black marble and green and white tree agate. 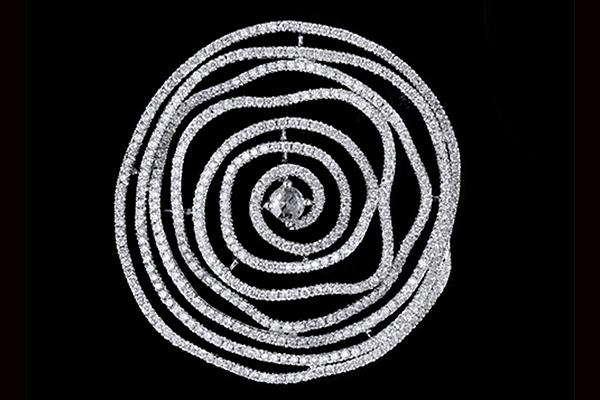 Uncut diamond brooch from Dwarkadas Chandumal Jewellers. 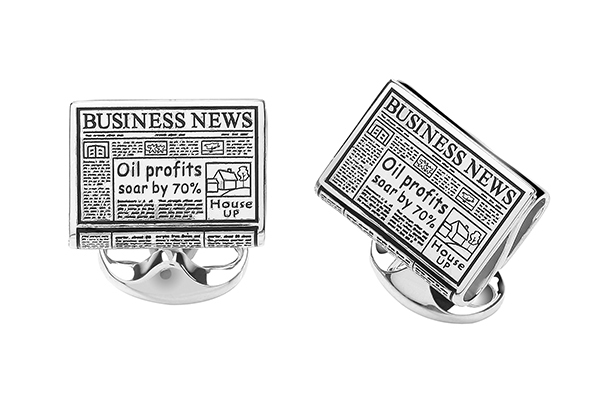 Cufflinks from Deakin and Francis set in silver. 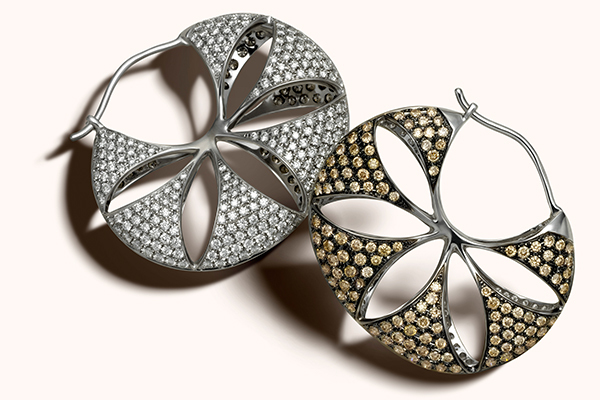 GMN earrings with American diamonds and mother of pearl. 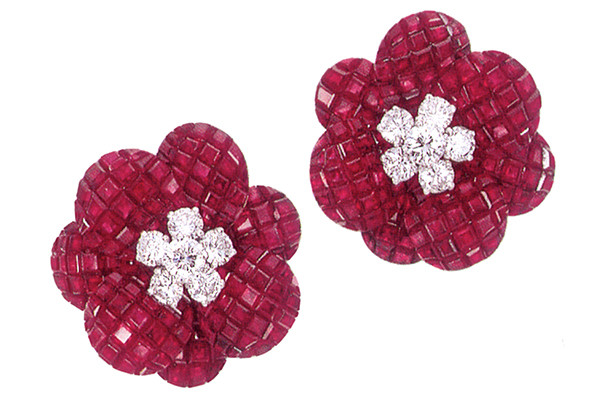 Minawala earrings crafted in white gold, diamonds and rubies. 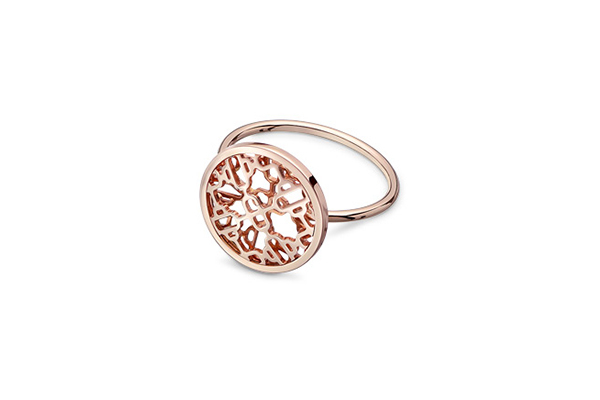 Hermès Chaine d'Ancre Passerelle ring in rose gold. 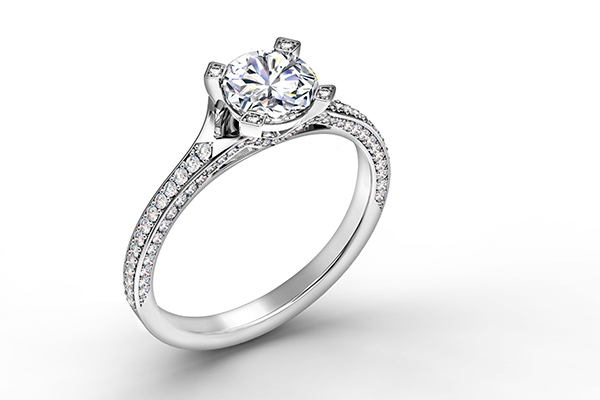 Antiquely designed knuckle ring with round cut diamonds in white gold by Jaipur Jewels. 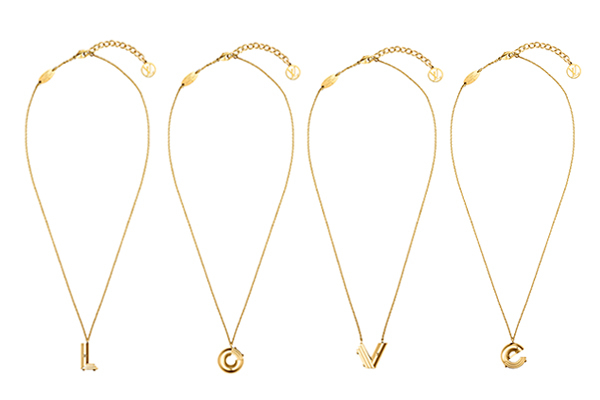 LV & Me collection which includes cute little trinkets in gold metal alloy from Louis Vuitton. 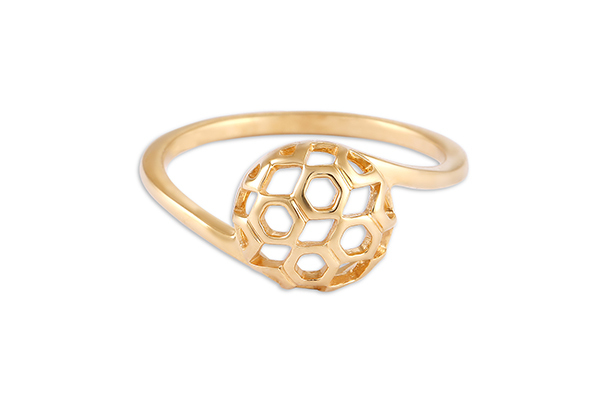 Yellow gold ring from the Tanishq Mia collection. 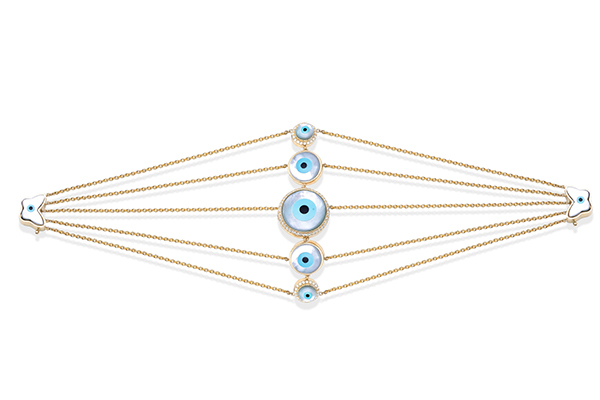 Evil eye cuff with butterfly clasp set in white gold from Renu Oberoi Fine Jewellery. 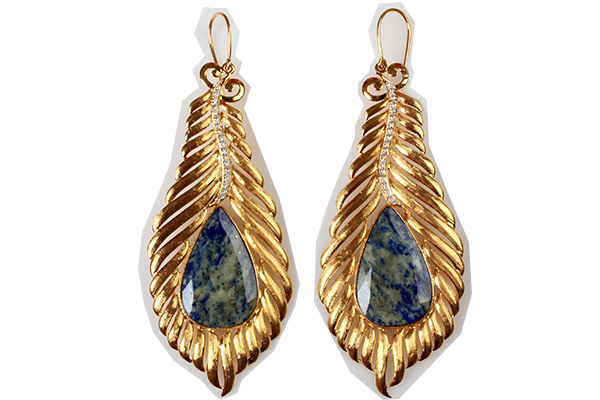 Earrings from PNG Jewellers crafted in gold with semi precious stones. 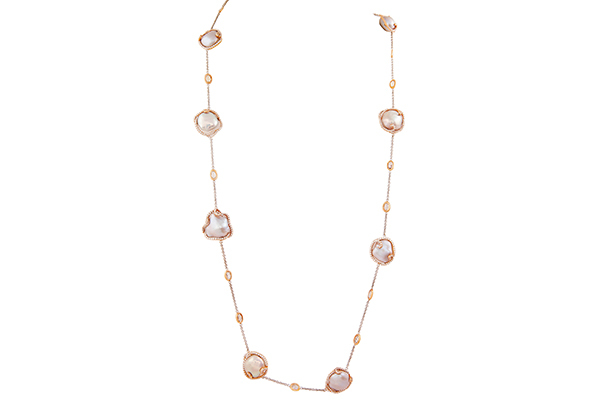 Aurelle's mother of pearl necklace crafted in pink and rose gold. 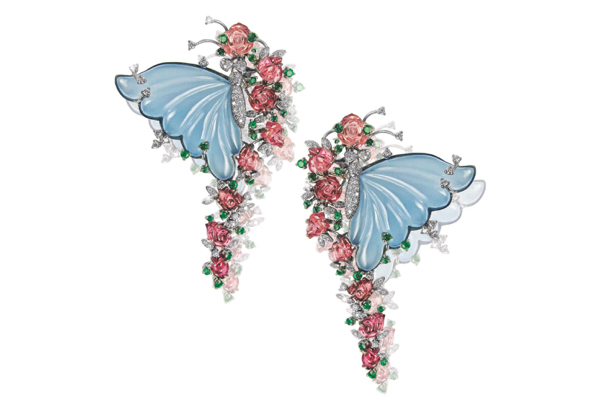 Mirari Butterfly Pavilion earrings with onyx and tourmaline carving set in gold.